Can be mounted into drywall, wood or concrete. Complimentary fasteners included for each application. Supports up to 200 lbs. The Kubota 250pc Picture Hook Set is versatile for all of your home dicor needs. 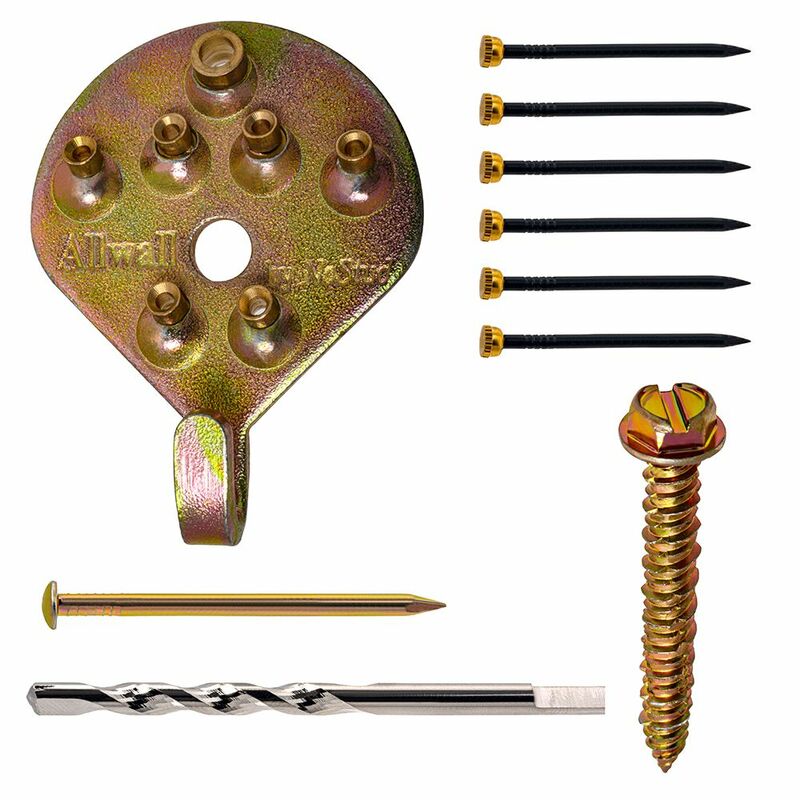 Offers a full assortment of the most essential hooks, wires and nails. Includes a durable plastic, see through organizer and lid. A must-have for your shop or home. Double sided tape has a wide variety of uses around the home and office. Designed for permanently attaching lightweight items. Comes in a convenient, easy to use roll. Allwall 200 is rated 5.0 out of 5 by 1. Rated 5 out of 5 by Bill P from Allwall picture hanger has been convenient It's pretty simple, it work with any surface and it never lets me down.